Cheap Fun Birthday Party Idea! Kids Love It. I Love It. Cut top off a soda bottle. Next take party balloons and place balloon opening around tip of soda bottle. 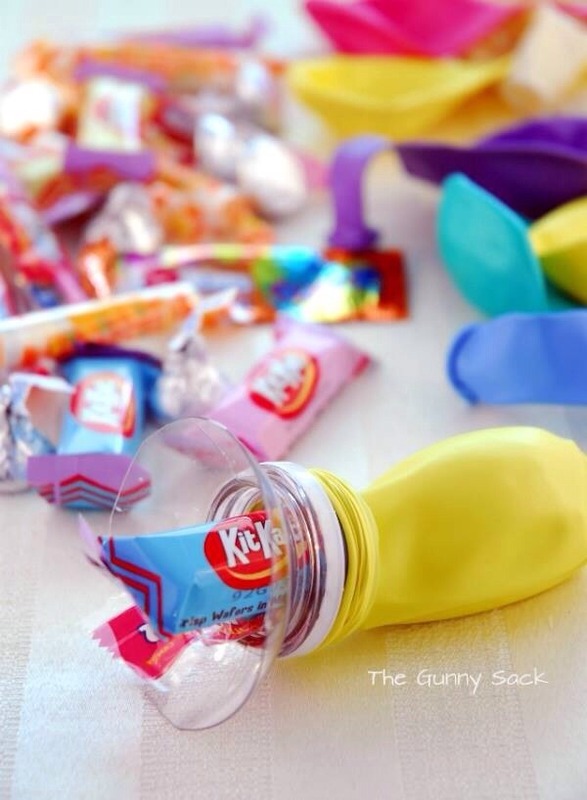 Insert candy and when the time is right let the kids pop the balloons for a sweet surprise!! !